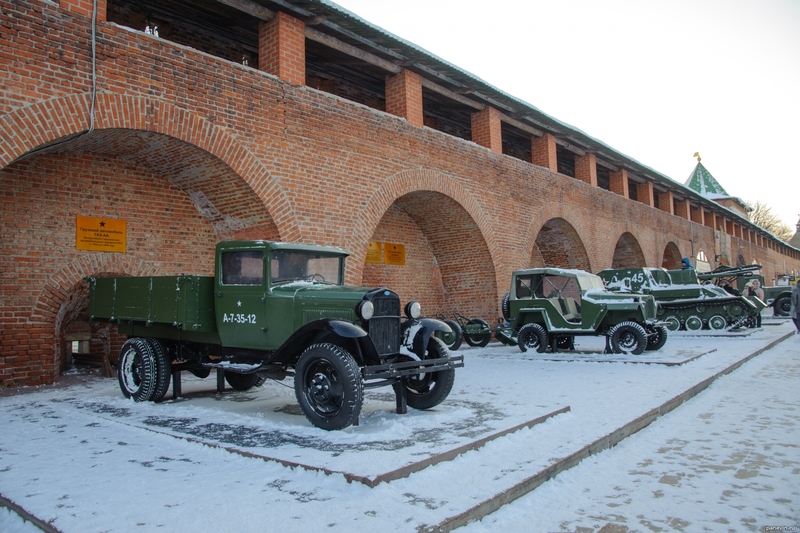 Exposition of military equipment and weapons of the times Of the Second World War in the open, between the Dmitrievskaya and Pantry Towers of the Nizhny Novgorod Kremlin. r nThe exposition of military equipment of the Great Patriotic War, the memorial" Gorkovchane - to the front. "Technique, produced in factories of Gorky. In the foreground is the legendary" lorry "GAZ-AA, behind it - GAZ-67b, further - SAU SU-76 and “Katyusha” BM-13. 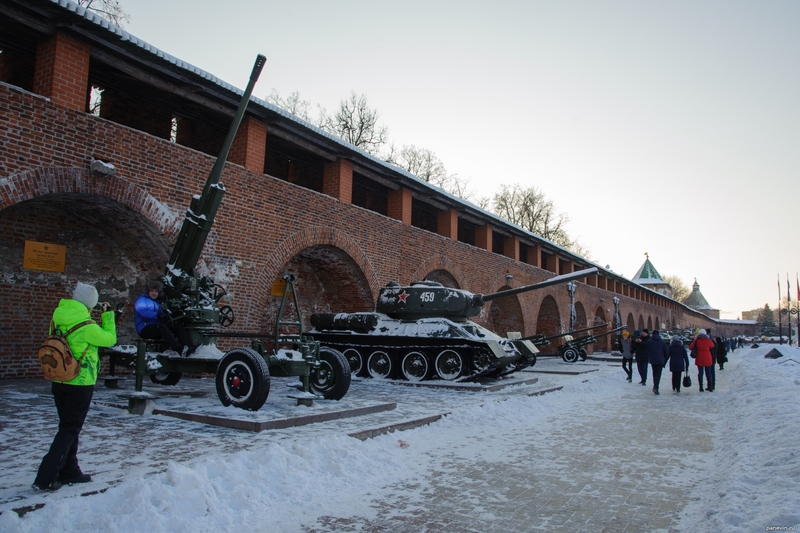 Blog, posts artilleries, Nizhny Novgorod, Nizhny Novgorod Kremlin, tanks, technics. artillery Artillery — the war god.